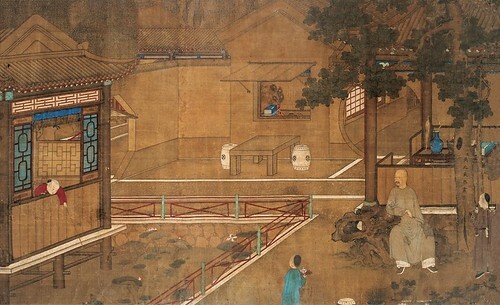 Yu Zhiding (禹之鼎, ca.1647-1709) was a Chinese painter during the Qing Dynasty (1644–1911). His style name was Shangji (尚吉) and pseudonym Shenzhai (慎齋). Yu Zhiding was from Jiangdu (江都), in today’s Yangzhou (揚州) of Jiangsu Province. He was particularly famous for painting human figures. Many notable people in the capital, who were mostly officials and royal family members, all requested Yu Zhiding for painting their figures. 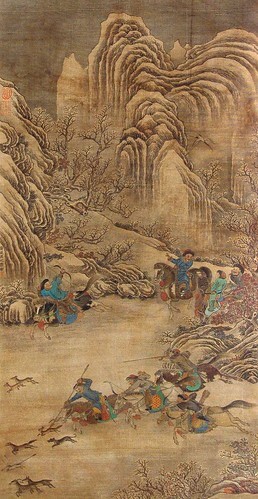 In addition, Yu was also noted for his landscapes, as well as flower-and-birds.